The ultralight-weight bonnet completely made of carbon fibre we brought into shape with a “power dome”, which leaves no doubt that the car is something special. The bonnet weighs 10.5 kilograms only and is available including TÜV certificate. The one-piece front presents itself sporty and aggressive with a low front skirt including most modern fibre-optic daytime running lights. 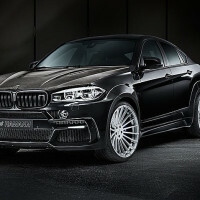 The side face is dominated by accurately-fitting HAMANN wings – the wide-body kit lets the X6 M grow by twelve centimetres in width. Eye-catching detail: the filigree air intakes that open up towards the front door on the powerfully shaped front wings. Profiled door panels and side skirts unite the lines from the front wings to the rear axle’s widened wheel houses, leaving enough space for an impressive 23-inch wheel/tyre combination. The accentuated powerful side face is concluded by an impressive rear. 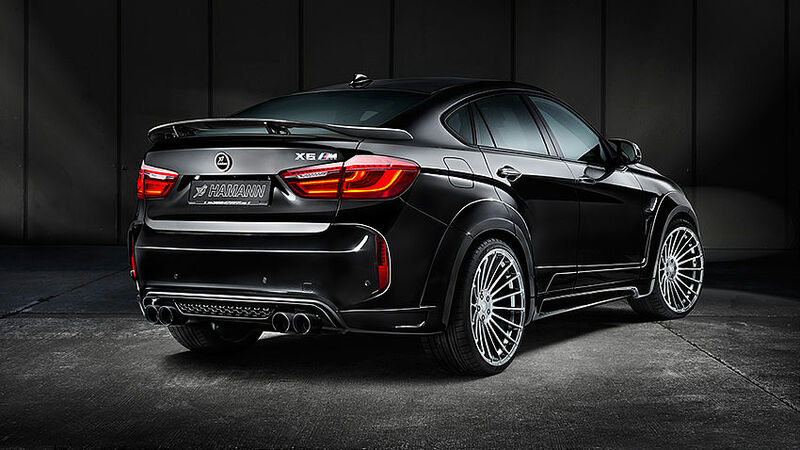 HAMANN installs the aerodynamically shaped attachments on the original rear skirt and thus skilfully extends the contours of the rear wing extensions. The elegant rear wing provides downforce and is a charismatic conclusion of the body concept laying great store by independence and individuality. 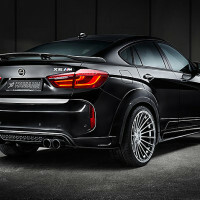 In the wide wheel houses, 11 x 23-inch light-alloy wheels from the HAMANN MOTORSPORT collection wow the spectator: the precious “Anniversary Evo” is available in black, silver or hyper black which comes with a noble black/silver lustre. We wrap the one-piece sports rim in multi-spoke design with 315/25 R23 high-performance tyres that fulfil highest requirements in terms of longitudinal and lateral dynamics and include RDK sensors. Sport springs lower the vehicle’s centre of gravity by sporty 45 millimetres on the front axle and by 30 millimetres on the rear axle. 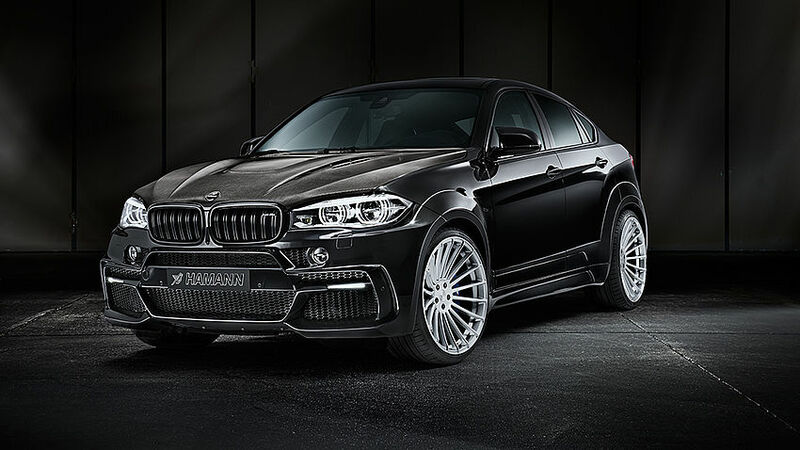 Their characteristics have been specially aligned to the axle load and high performance level of the X6 modified by HAMANN and ensure an extremely direct steering response, high lateral stability when taking curves, and maximum traction when testing the limits. New in Hamann’s programme is the high-resolution multicolour display system to upgrade the in-car entertainment. It is used to display comprehensive performance data in HAMANN design – for example, torque, acceleration from 0 to 100 and 200 km/h, lateral acceleration, performance in hp, and many other values. The data are directly read from the CAN bus, the engine control unit and existing sensors.